As the 2017 mid-term election approaches, both Argentine voters and party elites see a gloomy present and a bright future. With only seven months until the October 22 election, the economy still shows few signs of recovery. Patience is running thin in Congress, among governors, and with organized labor – but it seems to be never-ending among voters. For over a year, surveys have shown that a majority of voters perceive their personal economic situation as dire. In survey parlance, each month voters perceive that they are worse off than in the previous month. Yet, to the surprise of specialists, a majority of voters also expect the economy to improve in the next month. Indeed, voters seem as willing to credit the current administration of President Mauricio Macri for its policy choices as they are unhappy with the economy. The opposition is betting its future success on the dismal economic outlook: high inflation, stagnating wages, and lack of growth. The government expects voters’ optimism, the raw expectation of future growth, to carry the day. The increasing gap between current perceptions and future expectations has baffled specialists. The only possible result, many confide, is either a rude awakening for the administration or a real change in the pace of economic growth. Both parties suffer from divisions. 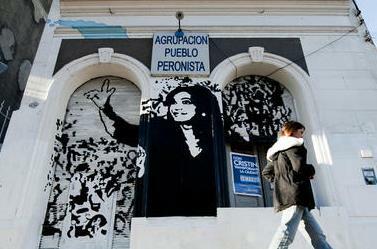 Former President Cristina Fernández’s Front for Victory still carries most support among Peronists, although many fear that a Senate victory by their leader in the Province of Buenos Aires will ensure a divided party in the election of 2019. Peronist dissident Sergio Massa is still running outside the party, and few anticipate any grand-coalition before 2019. The other traditional party, the UCR, remains on life support after a decade of mishaps, and is only a minor partner of President Macri’s party, Republican Proposal (PRO), in the government coalition. Meanwhile, the incumbent PRO has yet to decide their strategy to form Provincial alliances and nominate its candidates. As the election nears, it is unclear whether voters will hold the government responsible for their current economic malaise or will still believe in PRO’s capacity to deliver a better economy. Voters have one leg in a bad economy and another leg in the promise of a better tomorrow. They are, in the words of the Herald Editor J.G. Bennet, “Like a stork by a frog pond, they are as yet undecided which to rest upon.” Eventually, one of the two legs will have to go up, for either the government or the opposition – but not both – to celebrate on Election Day. Regardless, the mid-term election may provide little information as to who the real winner is. With no presidential candidates on the ballot, no important gubernatorial races to publicize, and only one important Senator on the line (that of the Province of Buenos Aires), the signal will be unclear. If the government does extremely well, it may gather a third of the House vote, all provinces considered together. If the government performs badly, it may get a quarter of the House seats. As the election approaches, it would seem that the only measure of success or failure would be whether the government coalition, Cambiemos, wins first, second, or third place in races for the National Senators of the Province of Buenos Aires. More troubling yet, it is unlikely that the result of the election, whichever it may be, will clarify the choices faced by voters, the future of the Peronists, or the likelihood of a steady government coalition after 2017. *Ernesto Calvo is a Professor and Associate Chair of the Department of Government and Politics at the University of Maryland. The death of President Hugo Chávez yesterday, as has been duly noted, marks the beginning of a new era – new opportunities and new challenges – for Venezuela. In view of the country’s history and institutional weaknesses through the 1990s, some of the convulsions of his 13 years in power may have been inevitable, but the need is now compelling, across the political spectrum, to take a sober look at the future, set aside some of the stalemated grudge matches, and get serious about becoming something better. 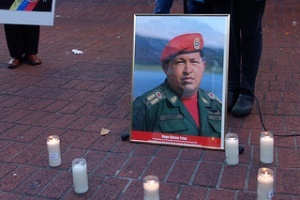 For better or worse, Chávez had an impact that – if not as transcendental as he wished – dismantled the key institutional pillars of the sclerotic Venezuelan political system. Beyond that, his legacy includes the profound and intentional division of Venezuelan society and politics into two camps – a tense split that did not exist (or was sublimated) 20 years ago and will take a long time to heal, as has the cleavage around Peronism in Argentina. Like Peronism, over time chavismo need not necessarily have a standard left-right quality, and it is likely to retain a cult around Chávez’s persona, larger in death than in life. Evita a la venezolana. Chávez wasn’t the regional or global threat that the Bush Administration made him out to be, but he did open space for a particular species of Latin American populism – call it radical, “socialist,” or clientelist – that coincided with a broader U.S. withdrawal from Latin America. Few observers could have imagined that this former military colonel – a failed putschist – could capitalize on the region’s crisis of representation and development to bring about the emergence and prosperity of the ALBA coalition and the identities it fostered. The lifeline of petro-dollars that Chavez opened, a tool that, it is often forgotten, had been deployed by previous Venezuelan governments to gain outsize presence on the international stage, explains some of his influence, but his forceful personality and the siren song of his peculiar Bolivarian ideology multiplied his impact. His model was not replicated elsewhere, but his fervent regional pride was. Chavez’s successors, of any political stripe, will test Washington’s capacity to keep its hands off. Venezuela – even the opposition – has changed, and United States policymakers will hear rhetoric and see things, such as a relationship with Cuba that’s likely both to shape and to survive both countries’ transitions, that will test their self-discipline. Chávez is gone, and chavismo, though certain to endure, will inevitably change. But Venezuela’s need for space – space granted by its neighbors and the United States – to grow and even make mistakes remains a constant. Over the 15 years in which Chávez dominated the scene, from his first election in 1998, Washington sometimes resisted the temptation to play into the game, but more than occasionally took the bait. Washington has often misread Latin America and, by endorsing the 2002 coup against Chávez and other actions, actually strengthened the Venezuelan president domestically and regionally. Chávez’s passing presents an opportunity for a fresh start for the United States, too. Argentina Foreign Policy – National Pride or Domestic Consumption? The stridency of Argentina’s foreign policy over the past two years suggests an effort by President Cristina Fernández de Kirchner to capitalize on elements of authentic nationalism and harness them into a durable political tool at home. Buenos Aires has dialed up the pressure on the Falklands-Malvinas dispute with the United Kingdom by seeking regional support and calling for a boycott. The nationalization of the holdings of Spain-based oil giant Repsol has also soured relations with several European states. Recently, the Argentine government has assailed the impounding of an historical frigate, the Libertad, in Ghana by agents of an investment fund that owns defaulted Argentine sovereign debt, labeling them “vultures.” Argentina has ramped up criticism of U.S. restrictions on its agricultural exports, as the two countries trade accusations in the World Trade Organization. The conventional wisdom in Washington has been that President Fernández de Kirchner is picking fights abroad to distract attention from economic and political problems at home. Following its record $100 billion default in 2001, Argentina remains locked out of most international financial markets despite deals to discount and reschedule much of that debt. Inflation is high and capital flight is so serious that the government has imposed strict controls on sending dollars out of the country – a measure unpopular with the middle and upper classes. These problems have taken a toll on the president’s popularity, as have intimations that she might change the Constitution to permit her to run for a third term. The view from Washington misses a couple key points. Many of these nationalist moves have been wildly popular – above all the Repsol decision. To attribute them to President Fernández de Kirchner alone ignores deep feelings in Argentina that the country deserves greater respect than it gets, as well as the fact that since the peso crisis, rejection of the sort of “carnal relations” that President Carlos Menem had with Washington (in his own words) in the 1990s has grown strong. The current foreign policy orientation harkens to a much longer tradition, from Peronism and beyond. There is little chance that issues such as the Malvinas or the Libertad are going to make Argentines forget about everyday economic challenges. Rather, they are a manifestation of an Argentine narrative in which the country is denied its rightful place in international politics and trade – and in which it is being held unfairly in the penalty box for the peso crisis. The United States support for the billionaire investors and hedge fund managers who bought deeply discounted bonds but are demanding full payment, and Washington’s subsequent vote against loans Buenos Aires needs from international financial institutions, are playing into nationalist themes. 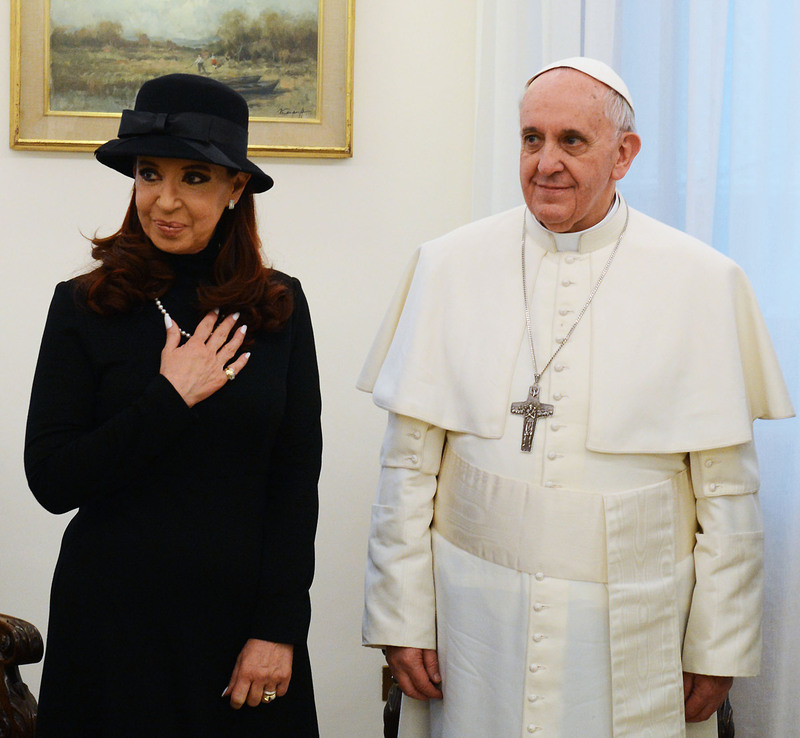 Fernández de Kirchner’s foreign policy rhetoric taps into resentment; she is hardly responsible for creating it.